I wasn't that psyched about the movie until I found out it was an ALIEN reboot/prequel and thought it was a great idea; and along with the great cast, was sure to be spectacular but did it live up to the hype? Puzzled by cave paintings and relics found on Earth pointing to outer space, scientists Elizabeth Shaw (Noomi Rapace) and Charlie Holloway (Logan Marshall Green) are funded to journey into outer space to look for life, or 'engineers', as the two believed Humans were 'designed' by them. 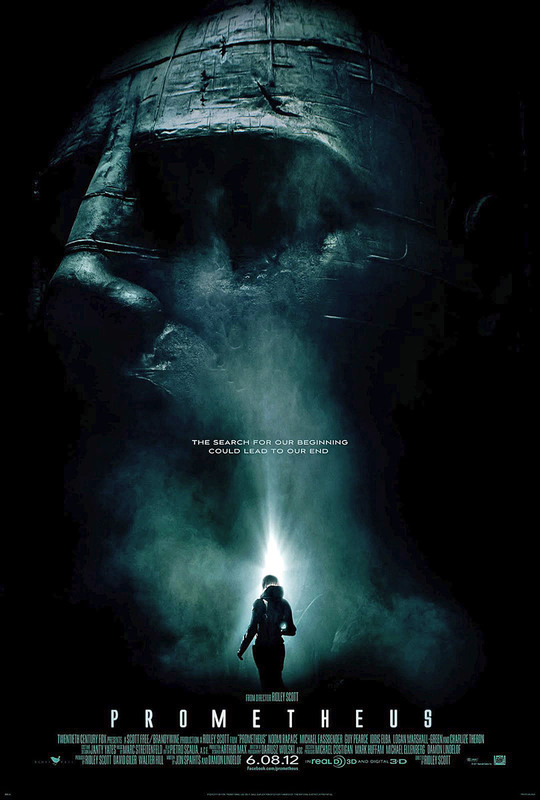 Funded by Peter (Guy Pearce), head of the Weyland Company, he seeks to find these 'engineers' in order to save him from his old age, with his created robot David, (Michael Fassbender) at his side whilst his daughter Meredith (Charlize Theron) disagrees with his agenda but is keeping a close eye. When the Prometheus lands on the desired planet, the team soon discover things are not what they seem and with their team dying one by one, that the answers they were looking for were not what they expected. Having seen the Alien films before, I thought the film started off extremely strong and the opening scenes were beautifully shot. The backdrop to the movie was cinematically stunning- from the ship design to the planet scenery- the caves were elaborate and extensive and the alien 'control room' scene was beautiful. However, I was not so fond of the 'creationalist' themes and how Humans were supposedly born/created from this space race. 'Who created them?' was rightfully asked by Shaw. 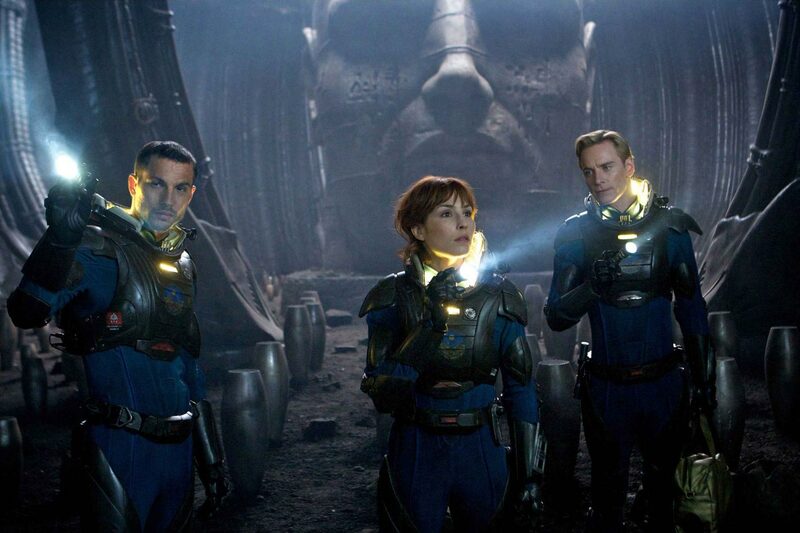 Despite this slight change of angle for themes in Prometheus, the elements of Alien are apparent throughout and is consistent with the other films. One of the most iconic scenes of this movie and one of my favourites as it was the most tense is the 'birthing scene', when Elizabeth is fertilised by alien sperm, drawing parallels to the other movies when aliens are birthed and though her narrow escape did not make sense (you can't be running and walking after a Cesarean), it was the highlight of the movie. As the crew inevitably died off one by one (characters we don't care about- and too conveniently disposed of), the climax was what I hoped would lift this film from mediocrity. Yes there is quite a lot of effects but I wanted to see tension, a real fight- this I did not get. Contact time with the alien? Like Zero. And for some 'higher' species that supposedly created us, they certainly did not put up a good fight nor seem to have the capacity to do so. And so the film ends in an open way where a potential sequel could happen (most likely will). Hopefully the many questions that were posed here will be answered (why did the aliens create humans/why are they being evil and trying to kill us/who created the aliens...) and that the future of the series will be slightly more thrilling and actually feature more living aliens. I thought the cast was strong, especially Michael Fassbender with his standout performance. Whilst his character's actions are questionable, there is real development with his character, his values and sentiments. The same can be said for Elizabeth Shaw where her character gets the most development and Rapace does a good job. But I still feel like I'd like to see Gemma Arterton play this role (who was initially rumoured to be the lead). 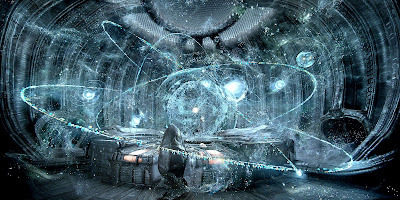 Beautifully set and wonderfully directed, 'Prometheus' puts us into the wonderful universe of the ALIEN series, revealing the origins of the higher life forms. Unfortunately, alien activity was reduced to touching slime and activating life forms through robotic alien key strokes, only saved by the tense and iconic 'birthing scene'. Despite the strong cast, very few characters are developed and many die off conveniently in a 'for the sake of it' manner, unlike the more artistic solo murders in the alien films, where each one has a unique death and a stronger sequence. That said, the final seconds of the film were sheer perfection. With a new explorative theme of alien creationist, so many questions are raised, yet very few are answered. I had hoped that this film will rebirth the alien series, but it has just left me wanting to rewatch the others more. Let's hope a sequel will do the series justice once again.